Wearable Forest is bio-acoustic clothing that interacts with a remote forest using network technology. The intention of this interface is to provide users with an opportunity to feel connected with nature regardless of their physical location. Wearable Forest introduces a new interactive sound system that creates a sense of unity between the user and a remote soundscape through remote-controlled speakers and microphones. Wearable Forest is conceptually based on human-computer biosphere interaction in that it uses wearable technology to enable bio-acoustical interaction with the subtropical forest of the southern Ryukyu Islands of Japan. 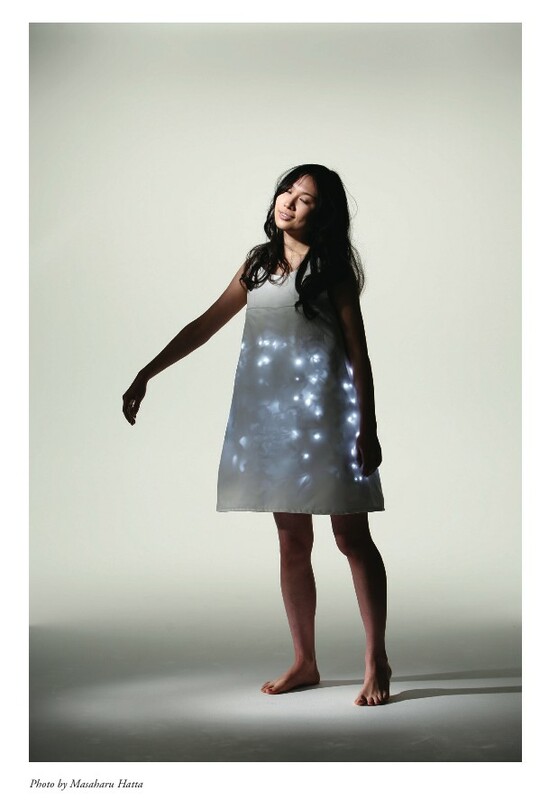 The clothing uses embedded speakers, LEDs, an embedded CPU system, and a wireless connection to process and play acoustic data received from the forest. Sensors allow the user to transmit pre-recorded acoustic data back to the forest installation, creating a bio-acoustical loop. Wearable forest: feeling of belonging to nature. In ACM SIGGRAPH 2008 art gallery (SIGGRAPH ’08). ACM, New York, NY, USA,103-103. Wearable forest clothing system: beyond human-computer interaction. In ACM SIGGRAPH 2009 Art Gallery (SIGGRAPH ’09), Jacquelyn Martino (Ed.). ACM, New York, NY, USA, , Article 1 , 7 pages.